Jet Blue offers exclusive Las Vegas vacation packages at a guaranteed lowest price. With just a few clicks, you can book your complete vacation package with a “Best Price Guarantee.” This is vacation planning made easy. Participating with over 10 Las Vegas properties, Jet Blue offers exclusive vacation packages at a price that is guaranteed. With Jet Blue, you are able to book your entire Las Vegas vacation with just a few clicks. 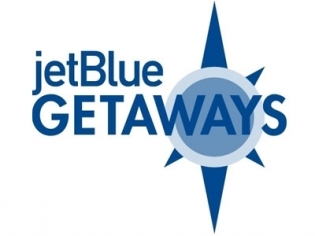 Jet Blue offers airfare and hotel packages backed by their “Best Price Guarantee”. They also offer up to two free Las Vegas show tickets just for booking with Jet Blue. Also, Jet Blue provides TrueBlue reward points. By booking with Jet Blue, you will earn reward points towards your next vacation. Book with Jet Blue today and let them show you the ease of planning your Vegas vacation. I really like the fact that there were no black out dates for my vacation, it helped a lot! They give a best price guarantee too. Seats on Jet Blue are decent. I’d use them again.